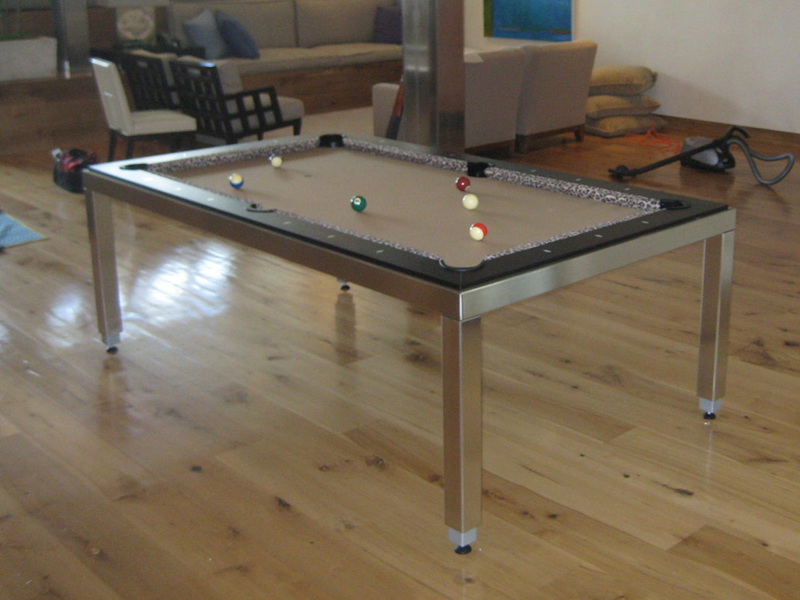 Here are few photos of another great looking Aramith Fusion Pool Table we recently delivered and set up in Rancho Santa Fe, CA. The Ocelot Beige print on the wenge rails and camel cloth on the slate brings a little safari edge without losing the simplicity of the overall look. And, the stainless steel frame ties in perfectly with the stainless I-beams in this fantastic room.